What do you think of when you think of the kitchen? It is definitely the heart of the home, and whenever the team at ProSource® of Atlanta-Marietta gets the chance to help a trade pro complete a kitchen remodel, we’re happy. 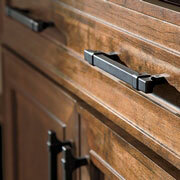 Our wholesale-priced products and design expertise are all at your fingertips! 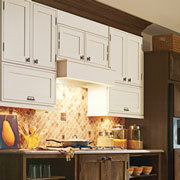 Storage is key in the kitchen, and cabinets can take this everyday task and make it extraordinary. Our array of cabinet materials, designs, and colors are sure to make it easy for you and your client to find the perfect solution! Cabinets are easier to use when they’ve got great hardware, and when you turn to ProSource of Atlanta-Marietta, you can rest assured that any hardware you install will last a lifetime and look beautiful while doing so! Countertops are key to kitchen use, and at ProSource of Atlanta-Marietta, we are proud to provide a wide variety of countertop materials and styles. 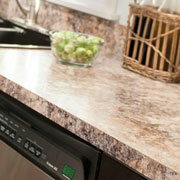 From granite to quartz to recycled materials, we have the countertop your client is looking for! The sink plays an integral role in the kitchen, and it is important to make sure it is big enough to handle whatever you throw at it. Whether your client needs a small sink for plates or a big one for washing pans, the team at ProSource of Atlanta-Marietta can help. 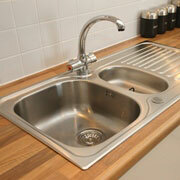 Kitchen faucets have come a long way, and we are here to make sure you and your client get the full benefit! 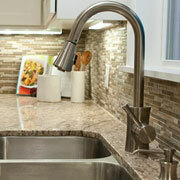 Explore pot-filler faucets, beverage faucets, and beyond! We proudly serve Marietta, Atlanta, Buckhead, Brookhaven, Alpharetta, East Cobb, Vinings, Midtown, Sandy Springs, and Dunwoody, Georgia, as well as the surrounding Northwest Atlanta areas. The ProSource of Atlanta-Marietta showroom is conveniently located in Marietta, Georgia and serves all of the neighboring cities including Acworth, Alpharetta, Atlanta, Austell, Canton, Clarkdale, Conley, Dallas, Decatur, Douglasville, Ellenwood, Fairburn, Fayetteville, Forest Park, Hiram, Holly Springs, Jonesboro, Kennesaw, Lebanon, Lithia Springs, Mableton, Marietta, Morrow, Palmetto, Powder Springs, Red Oak, Rex, Riverdale, Roswell, Smyrna, Tyrone, Union City and Woodstock.